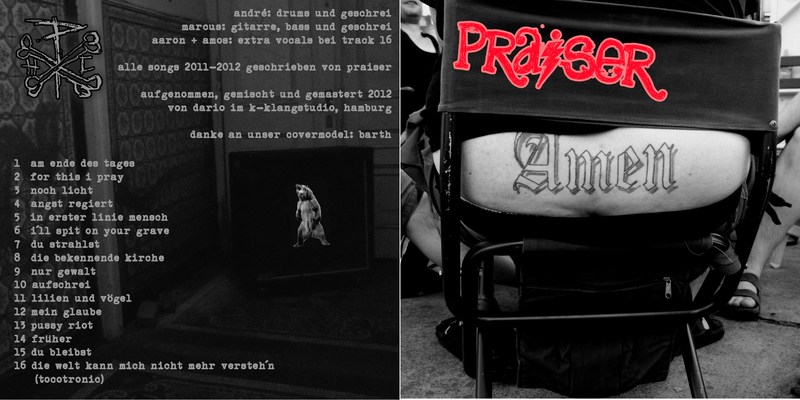 It´s out now, fourth Album, called „Amen“. 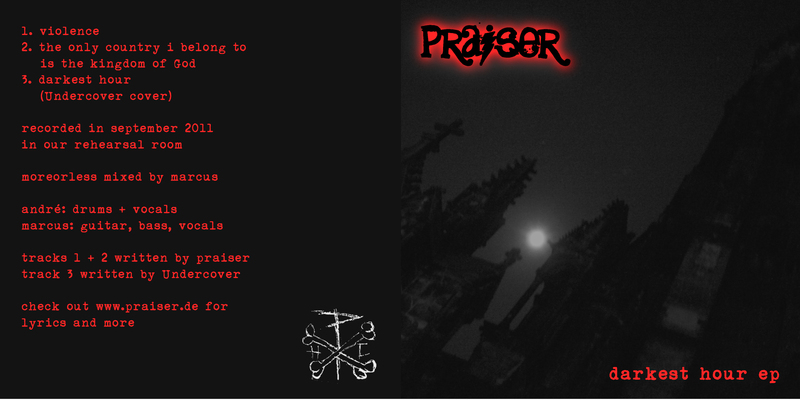 If you want individual Tracks, please check http://praiser.bandcamp.com (its got lyrics as well). well well oh well again…we are seriously proud to present: the next 13 tunes we (professionally) recorded – for free (again)! the whole stuff was done completely in a real nice studio (thanks Richy) and took only ‚bout 3-4 days. so it’s smooth, it’s still dirty, it’s PUNK and MORE (as it was meant to be yaddadadaaada). you can find the lyrics to every song here, too (soon). 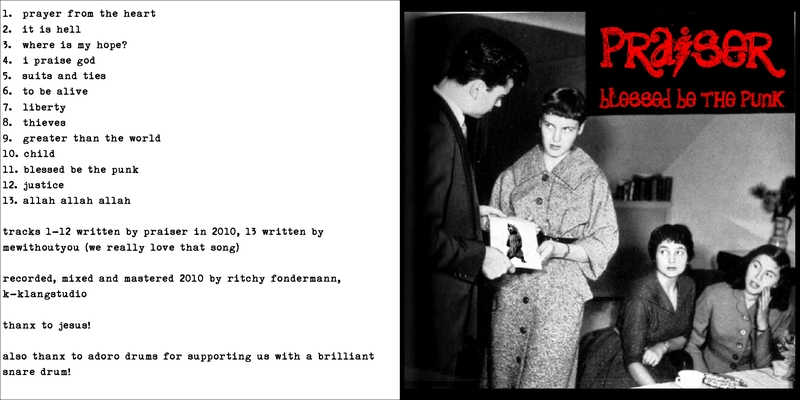 well well well… we are proud to present: the first 10 tunes we recorded – for free! the whole stuff was done completely DIY in our rehearsal-room and took only ‚bout 8 hours. so it’s raw, it’s dirty, it’s PUNK (as it was meant to be before robocop played the guitar and hal9000 did the post editing to make it sound extra-clean and tight). you can find the lyrics to every song here, too.